On Monday, Apple hosted a major event at its headquarters in California and made some major announcements about upcoming projects. The most exciting was the official reveal of Apple TV+, the new streaming service that is Apple’s direct competitor to Netflix, Hulu, and Amazon. They announced some enticing new shows, namely The Morning Show, a drama starring Reese Witherspoon, Jennifer Aniston, and Steve Carell. It debuts this fall, and I’m basically already counting down the days. 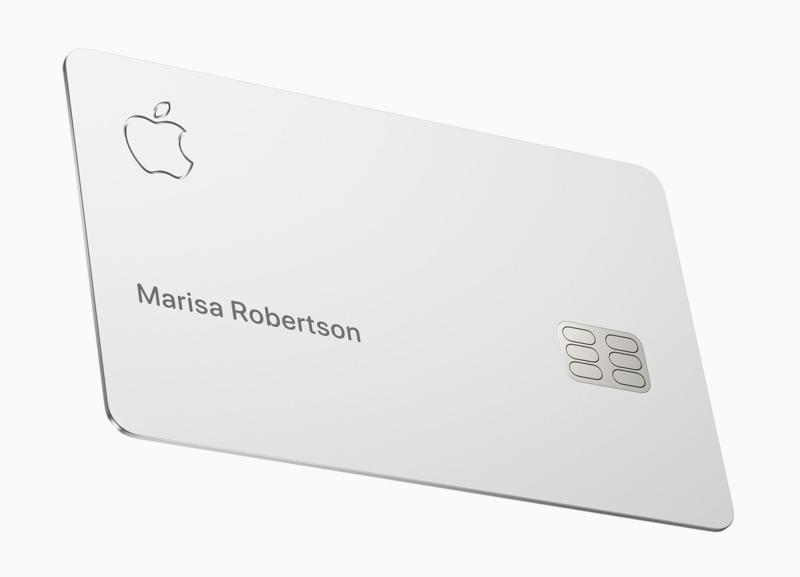 But now that I’ve had a few hours to process my excitement about Reese Witherspoon, it’s time to talk about the other huge announcement Apple made on Monday: they’re making a credit card. I have questions, and so should you. It’s called Apple Card, and while Apple is claiming that Apple Card “completely rethinks everything about the credit card,” I’m juuuust a little skeptical. That’s because this all reminds me way too much of Billy McFarland and his legendary Magnises scam. Someone at Apple must have watched the Fyre Festival documentary and was like, "THAT. MAKE THAT. THE COOL CREDIT CARD." Let’s look at some of the features and benefits of the Apple Card, shall we? On the website for Apple Card, the first thing Apple says is “A new kind of credit card. Created by Apple, not a bank.” Okay, so I’m not going to act like I’m the most financially literate person in the world, but is this supposed to be appealing? I already give Apple like half of my money, so why do I want them to have control of my credit card too? It’s not like banks are the good guy here, but is Apple any better? After running down the list of exciting features like Apple Cash (it’s basically just a regular rewards program) and great security (boring), Apple finally gets down to the nitty gritty of why there’s not technically a bank involved. “Every credit card needs an issuing bank. To create Apple Card, we needed a partner that was up for the challenge of doing something bold and innovative. Enter Goldman Sachs. This is the first consumer credit card they’ve issued, so they were open to doing things in a whole new way. Ah yes, let’s applaud the incredible bravery of Goldman Sachs, who dared to partner with Apple, the company with the world’s highest market value. They’re really stepping out of their comfort zone, so good for them. I’m not an expert on Goldman Sachs, but their Wikipedia page has a “Controversies and legal issues” section four times as long as this article, so I’m not fully convinced that this is some wonderful, groundbreaking partnership that’s totally safe for consumers. So that’s a full run-down of what Apple’s website says about their new credit card, but this slide from their presentation yesterday is just asking to be memed. No card number! No signature! A West Village townhouse! FREE tickets to the Met Gala!! Beyoncé will definitely perform at your birthday party!!! So far, Apple hasn’t made any promises about concert tickets that are literally impossible to get, but I’m sure that’s coming in Apple Card Series 2. Apple Card is scheduled for release sometime this summer, and I can’t wait to see how many dumb rich millennials run out and get one on the first day. Lmk in the comments if you plan on getting an Apple Card, because in about three years I might be making a documentary about scams and need your contact info.